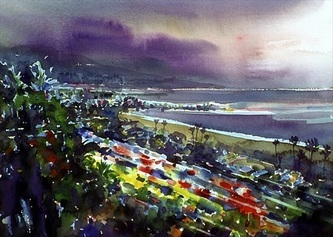 Plein Air Watercolorist, Pong Apinyavat, is one of today's foremost painters of the California coastline. 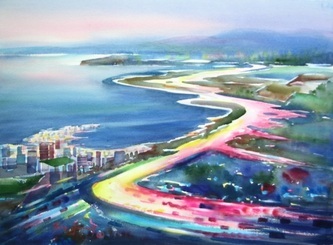 He captures the many moods and colors of the ocean, beaches, coastal highways and recognizable landmarks. His plein air style might include painting the early morning mist, bright mid-day sun, or the glow of the evening sunset on the water. The motion of light on freeways is a frequent nighttime theme in his art. 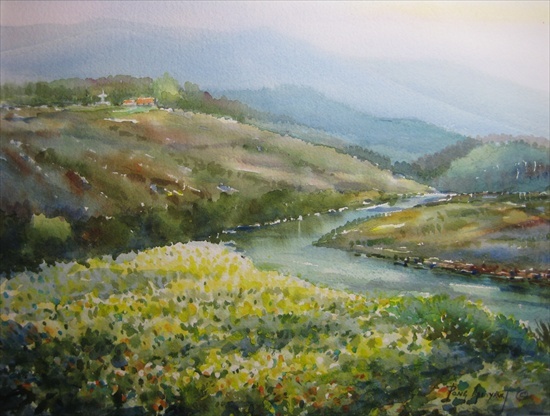 He states, "My paints and easel are always with me... my goal is to capture the beautiful natural world I see." 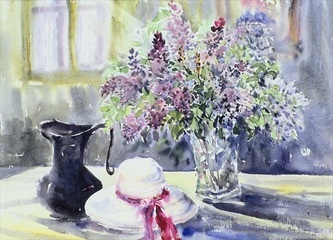 Pong is a signature member of Watercolor West, an international artist society. He has won many outstanding awards, including the Grumbacher Gold Medallion Award and the prestigious Best of Show from the Weisman Museum, Pepperdine University. Pong's work have been exhibited in the California Heritage Museum, Santa Monica. The city of Thousand Oaks has two of Pong's large paintings permanently on display. His paintings are found in private collections and galleries across the United States, in Asia and in Europe. In late 2010,Watercolor West selected Pong to be one of their seminar demonstrators. 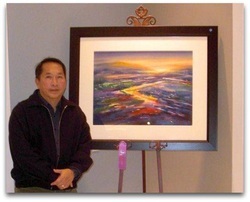 He currently juries art shows and teaches workshops out of his studio and for art associations throughout California. © 2012 Pong Apinyavat, All Rights Reserved . All photographs appearing on this site are the exclusive property of said SVAA Artist and are protected under United States and International copyright laws. The photographs may not be used in any form without written permission from the Artist. Copyright and Reproduction rights reserved by the artist.